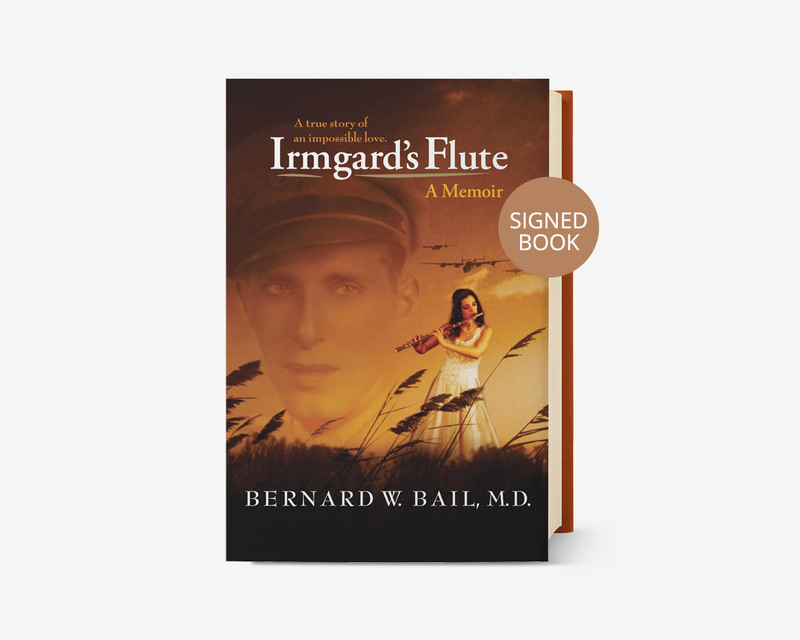 Irmgard’s Flute (Signed Edition) – Bernard W. Bail, M.D. This true story of a young World War II Air Force officer also illuminates the journey of a brilliant mind at the deepest levels of self-exploration. A complex and profoundly moving book, Irmgard’s Flute memorializes a many-faceted love, one that truly transcends time, place, personality, and nationality. Shortly after a touching romantic encounter with the beautiful and earthy Giselle in liberated Paris, 1945, American Lieutenant Bernard Bail was shot down on his twenty-fifth flying mission over Germany while navigating a squadron of B-24 bombers over their target. Seriously wounded and taken as a prisoner of war, Lt. Bail is brought to a hospital where during his recovery the impossible happens: he and a young German nurse fall in love. Irmgard awakens Lt. Bail’s spirit and opens his eyes to his inner world. In this bittersweet love, Irmgard risks her life as well as his, slipping poems and letters beneath his pillow during the quiet midnight hours of her nursing rounds. Irmgard’s words begin a transformation of Lt. Bail’s heart and mind. As he falls in love with this deep and soulful woman, Lt. Bail is forever changed. 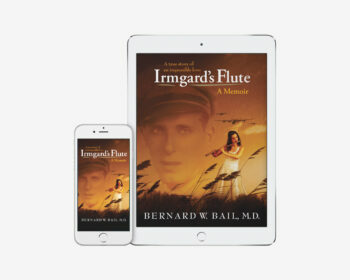 Even as he is liberated by American troops at the end of World War II, the haunting notes from Irmgard’s flute play vividly in his mind, and the poems and letters Irmgard left under his pillow pervade his thoughts for over six decades. Those letters, which Lt. Bail still cherishes today, molded his life and deepened his soul. 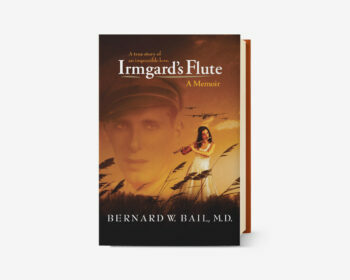 Irmgard’s Flute is a poignant look at how Lt. Bail’s deep affection for Giselle and love for Irmgard—two very different women—ignited his understanding of destiny and life. The intertwining of their souls in the most improbable way and at the most impossible time set Lt. Bail on a journey of the spirit. This book plumbs the depths of human consciousness and tells a compelling story of romance and love in its purest sense. The story traverses Paris at war’s end, and chronicles a soldier’s return to postwar America. 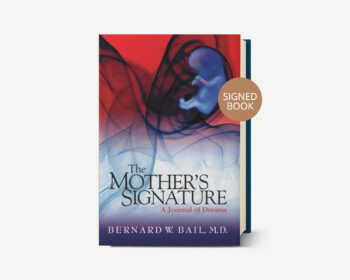 A rich and living history unfolds, and we see it through Bernard Bail’s eyes…and heart and mind.